How to Know if it's the Right Time to Replace Your HVAC System - Frederick Air, Inc. 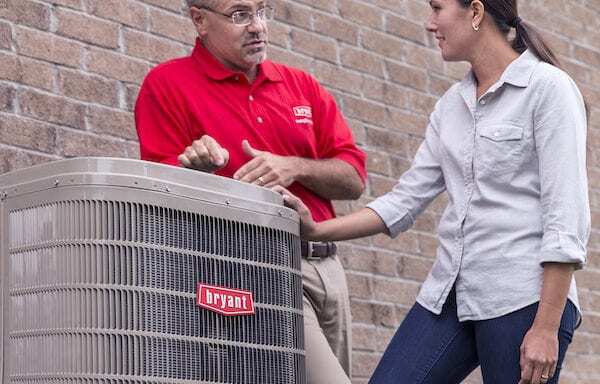 When is the right time to replace your system? There are two times people replace their system: when the system is getting old and when there’s an emergency. Deciding the right time for your household depends on your comfort level, personality type, and finances. You should consider replacing the system when it’s getting old and seems like it may be reaching the end of its useful life. If you replace it under these circumstances, you have time to gather information and make a relaxed and informed decision without any pressure. Am I the type of person who doesn’t mind doing a few days without heating or air conditioning? Am I willing to sleep in the basement during that heatwave or relocate to a relatives home during that cold snap? If not, you might want to be a little proactive about replacing that old unit. Is it too soon to replace my system? Many people are afraid they might replace their system a year or two before they need to. That shouldn’t be a concern. Here’s why. Let’s say you did replace your system two years before it was gonna breath its last breath. What would be the harm? You would be paying today’s prices instead of the prices two years from now. You would be saving the money on your utility bills for two full years. You would have a quieter and more comfortable system. Not to mention the peace of mind you would enjoy knowing that your system was not gonna have a major breakdown. What’s not to like? If you’re financially able to afford a new system, replacing it when you can make an informed and relaxed decision is the way to go. What type of system you’re going to buy? Who’s going to install it for you? As always, if you have any questions please give us a call. We’re happy to help you make the right decision when it comes to repairing or replacing your HVAC system. This is the second article in our 5-part series, Secrets to Buying an HVAC System. Read them all!